Just last week, we learnt that the Vivo V9 Pro will launch in India with a price tag under Rs 20,000. This means, it will compete against devices such as Xiaomi Mi A2, Redmi Note 5 Pro, Moto G6 Plus and Asus Zenfone Max Pro M1 to name a few. 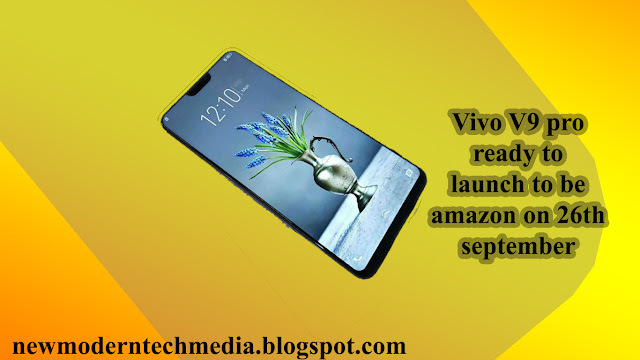 Vivo V9 Pro rumored specifications, features In line with previous rumors, the Amazon India page confirms that the Vivo V9 Pro will flaunt a 6.3-inch FullView 2.0 display with full HD+ resolution and a notch at the top. Under the hood is expected to be a Qualcomm Snapdragon 660 SoC paired with 6GB of RAM, and 64GB expandable internal storage.